Are you struggling to think of what to get for your girlfriend, boyfriend, husband or wife? You want to show them how much they mean to you but you’re running out of time before the big day, Valentine’s Day. We’ve got a quick and easy, but really sweet gift that your other half will really appreciate. 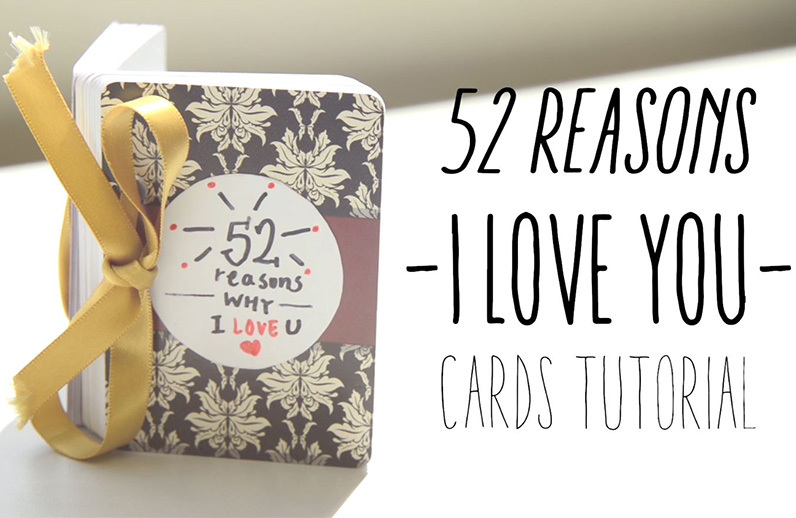 The 52 reasons why I love you deck of cards is a lovely way to express how much you love your partner. Yes, this idea has been around for a while, but previously they are made with a traditional deck of cards with no design and not unique. At Printer’s Studio, you can make the 52 card deck, completely unique to you with your own designs and even photos printed beautifully from the front and back. Hop onto our personalized playing cards and choose a card size that you prefer. Tie a ribbon through the holes to put the cards together like a book and finish it off by tying with a bow.